MTC The long term results of Experiential Learning have been researched and studied by many academics – all of whom agree, that it is the most effective method of learning and that it guarantees a long term, behavioural, positive change in the performance of the learner – as the graph below demonstrates. This chart shows that Classroom training provides a small increase in teamwork that evaporates within a week. Experiential Training provided a remarkable 77% boost in the Team Development Index that continues to have residual effects up to 1 year, without follow up. It is important to recognise that for new initiatives to be truly successful then the delivery mechanism needs to cater for different learning styles and activities and interventions. All trainer led workshops will be designed to enable participants to learn through ‘doing’. The outcome for any workshop will be to provide participants with the confidence, ability and desire to implement their new skills, thinking and or strategies as soon as they return to the workplace. In this way, ‘change’ will become behavioural and lasting, and learning will be transferred from the classroom to the work environment. 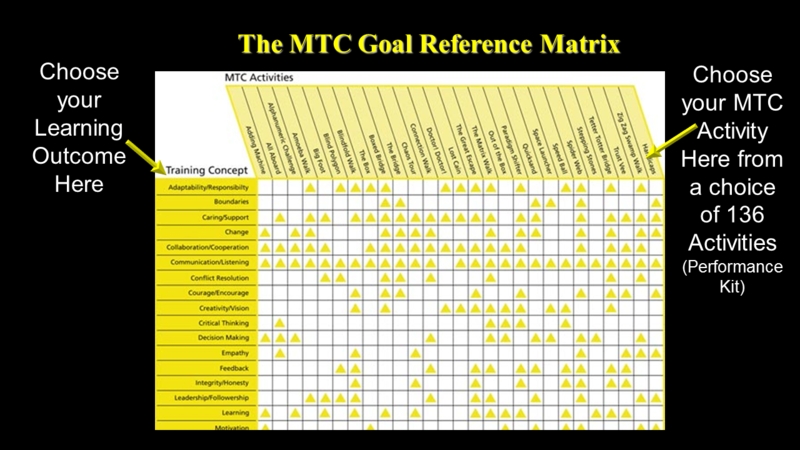 Simply Cross Reference your Learning Outcome with the MTC Activity Matrix and select from a number of MTC activities which have been specifically created to deliver your Learning Outcome. 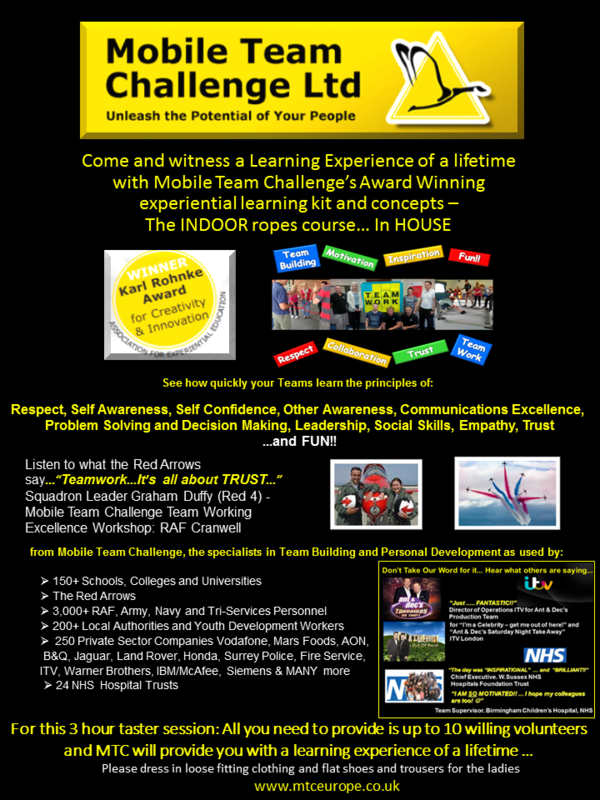 Inspirational, motivational learning and development for all ages.